Andrew Gale reckoned that four missed chances in the field were Yorkshire's undoing. Tis such a shame that the glaring deficiencies in the Tykes' batting appear to go unnoticed where the coach is concerned. Andrew Gale was a successful captain and a decent batsman. He is now in danger of tarnishing his legacy by sticking around and presiding over batting frailties that he seems blissfully unaware of. Until Yorkshire remedy their top-order batting woes, they will be also-rans in county cricket, and maybe not even our able bowling attack will save us from relegation. No wonder Adil Rashid decided to step down from first-class cricket. 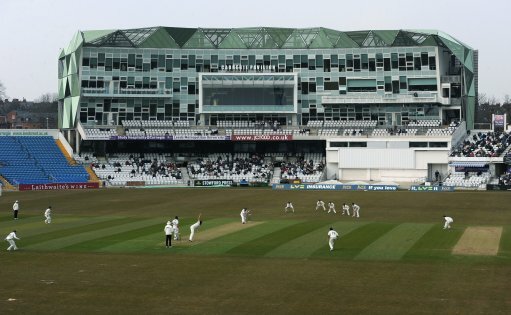 Surrey versus YORKSHIRE; in London; Friday the eleventh to Monday the fourteenth of May; YORKSHIRE chose to bowl. Surrey win by an innings and seventeen runs. Surrey 24 points, YORKSHIRE four points. Lyth - Adam took a couple of catches and atoned for his first-innings of six with a patient knock second time around. He still needs to do an awful lot more. Lees - Jade Dernbach twice sent him packing for a first-ball duck and then twelve. Alex belongs in the Second Division. His batting just doesn't hit the heights. Pujara - The Indian international was twice dismissed by Sam Curran for seventeen and then a three-ball duck. He's proving to be an almighty disappointment. Root - The England captain has been largely a waste of space on his return to his native county. Fourteen runs and 23 are sub-standard for this test batsman. Brook - Harry's two innings of seventeen runs and then eight runs were a significant step backwards, after his heroics against Essex one week earlier. Bairstow - Jonny was easily Yorkshire's best batsman, producing an inings of 29, followed by a 94-ball 95. He also took a couple of catches off Steven Patterson. Leaning - Jack was trapped by Rikki Clarke in each innings for scores of twenty and 28. He wasn't our worst batsman, but these efforts are still underwhelming. Bresnan - Big Tim had a match to forget, succumbing twice to Sam Curran for a solitary run, while his bowling was hit hard, in spite of him taking three wickets. Patterson - Patto's bowling consisted of 27 overs which cost 107 runs, while he also contributed little with the bat, falling for five runs and then a duck. Shaw - One wicket, costing seventy-six runs from seventeen overs was a reminder that Josh is a poor stand-in for Coad. His first-innings 29 was some consolation. Brooks - JB was unbeaten in each of our innings, but his bowling was distinctly mediocre, amounting to one wicket from eighteen overs, costing ninety-one runs.